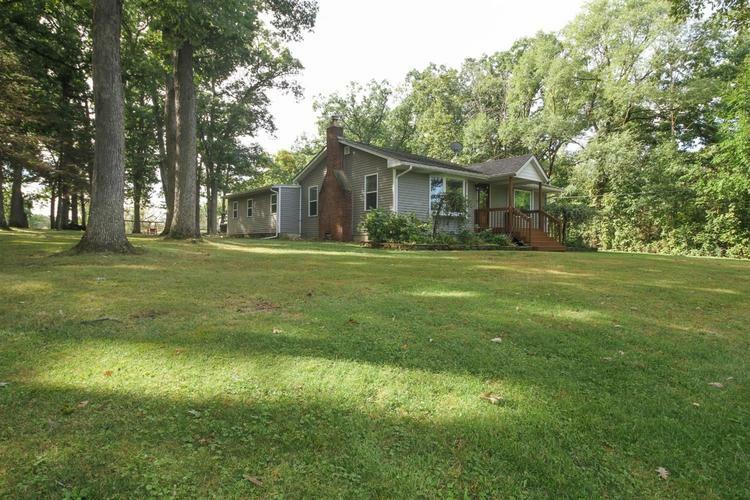 This picturesque Ranch on 6.2 acres awaits you! Enter into spacious Living Room highlighted by welcoming Fireplace & New Wood flooring-2015! Continue into the Stunning Remodeled Kitchen-2015 Featuring Quartz Countertops, Farmhouse Sink, Subway Backsplash, Wood Flooring & Stainless Steel Appliances! 3 Bedrooms plus two additional rooms, Office, Den and/or Playroom! There's more; 30x40 Pole Barn w/ NEW Tack Room & Lighting-2016! New Horse Fence-2016! Walk to the back of the lot & enjoy the POND! Full Bath Remodeled-2015! NEW HWHeater-2016! Finished Laundry Rm w/Washer & Dryer! NEW Carpet-2015! REMODELED BACK OFFICE & MUDROOM WITH NEW BACK STORM DOOR-2016! NEW INTERIOR DOORS-2016! NEW WINDOWS & SIDING-2016! NEW CEILING FANS & INTERIOR FRESHLY PAINTED-2015! 2 Car Garage & Play gym stay! You won't be disappointed!